It seems that not many people have installed car-related on their smartphones. This is likely because most people don’t know what a large variety there are out there and how useful they can be. In this article, we have selected 9 mobile apps to help you get the most out of traveling. In addition to really giving some useful assistance, most of them are free too. If you’d like to keep closer tabs on the kids, this app is for you. Its simple; you install this free app on a phone that will be in the car, generally your child’s. It uses the cell phone’s internal accelerometer and GPS to log the speed and location of the phone (car) every five minutes. It logs a location history and can send you via a message if the phone travels outside a perimeter that you define. GasBuddy is a free app that allows you to find the cheapest gas in the area. It shows you the 10 closest gas stations to where you are and their gas prices. GasBuddy says they will be adding other gas station conveniences, like carwashes and air pumps to its listings soon. At the present time, GasBuddy’s database is quite robust and contains some 110,000 stations. This free app reads your incoming text messages and speaks them to you. You can actually hear incoming Twitter updates, Facebook messages, emails and Google text messages. The obvious advantage is that it leaves the user’s hands and eyes completely free for driving. OpenBay is a free app that allows you to get quotes from garages in your local area. The most useful feature of the app is the ability to compare prices among the shops because it tells you the repair costs involved. This free app is very useful and ideal for the parents with driving teens. 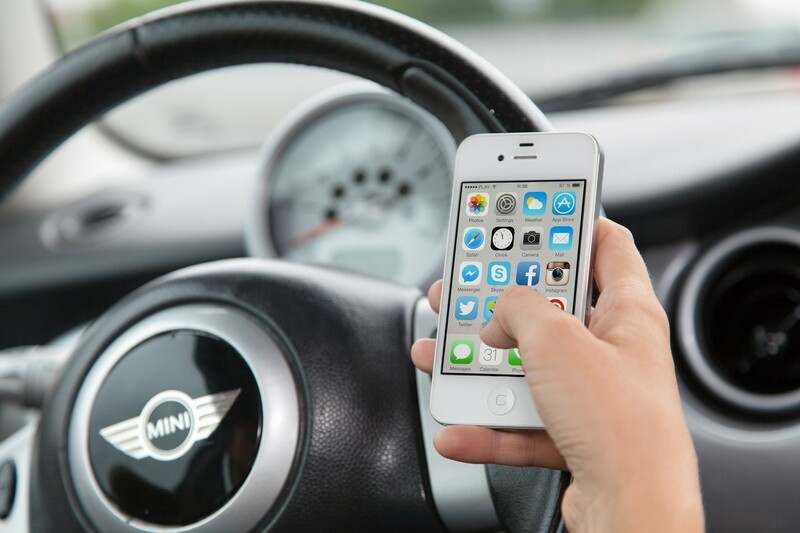 What this app does is manage the functions of the cell phone that could be distracting while driving. For example, it can block out phone calls, text messages, and even lock the phone completely during a set schedule. Undoubtedly your teen will find this app quite annoying but it could save their life. This $5.99 app is designed to analyse your driving efficiency. The application can display speed of the car, direction and distance, and determines your miles per gallon. TripAlyzer can also vocally announces various stats, such as your current fuel efficiency, as you drive. This free app keeps you posted with information regarding your car’s repair history, creates estimates for repair expenses, and gives suggestions on local repair shops. RepairPal also recommends places to buy your vehicle parts. The sales staff at Holt Fiat of Hurst, a Texas-based Fiat dealer, really like this app. FindMyCar is a simple app that helps you locate your vehicle in large parking lots by using GPS. Just imagine failing to find your car late at night and you can see the obvious utility of this app. With over 50 million users, Waze is a free app that keeps you informed of road conditions. This amazingly popular app keeps you updated with traffic conditions, live-routing voice-assisted navigation and road hazards.